Certain American brands have earned their patriotic stripes and turned into stars in the eyes of consumers. A recent study conducted by Brand Keys examined which well-known U.S. brands were perceived to be the most American. 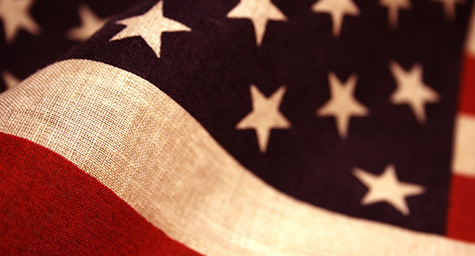 With Independence Day just a short time away, Mediapost.com shared results from the study to honor the American brands that truly stand for the U.S.A. today. Every year, many brands celebrate Independence Day by showing their American spirit through marketing efforts and social media outreach. These campaigns are filled with American flags, stars and stripes, and the colors of red, white, and blue. While having products made in the U.S.A. or taking part in national activities are both worthy efforts, the secret to making these efforts effective is a brand’s authenticity. If consumers align this American spirit with a brand’s inherent values, they’ll become more engaged with the brand and develop an emotional bond. And research has shown that consumers are six times more likely to believe in and positively view a brand once they’ve established an emotional connection. Newcomers to the top-50 list included Coach, Converse, Johnson & Johnson, Goodyear, Major League Baseball, and Wells Fargo. Discover strategies for successful advertising. Contact MDG Advertising. MDG Advertising, a full-service advertising agency with offices in Boca Raton and New York, NY, is one of Florida’s top branding firms. MDG’s core capabilities include print advertising, direct mail marketing, branding, logo design, creative, digital marketing, media planning and buying, radio and TV advertising, Web design and development, online video advertising, email marketing, content marketing, social media marketing, and SEO. To learn about the latest trends in advertising and branding, contact MDG Advertising.